The Academy has been implemented to ensure that the best practical training support and skills are being provided to young Saudi professionals in the market. The Academy covers a diverse range of topics, ranging from LG Multi V™ (VRF) system selection, installation practices and comprehensive servicing for all products. The innovative new platform, delivered using the unique experiences of the Academy's professional staff, encompasses ‘Application Showroom', ‘Lecture Room', and industry-leading practical ‘Training Room' facilities, which incorporate the latest technological advancements in the market. Trainees will gain valuable first-hand experience in the implementation processes of the products' installation, operation, and centralized network solution under the guidance of professional experts. 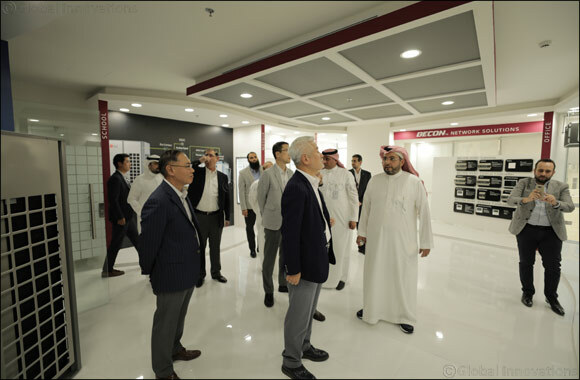 The ‘Application Showroom', however, has also been equipped to illustrate the different applications of LG Multi V™ products across a variety of targeted HVAC sectors. The Academy recognizes that separate zones reflect the Multi V™ implementation across Residential, Hotel, Schools, and Office applications.